The retreat /conference was inspiring. I feel blessed to have been in the presence of so many shining teachers, every person I met taught me something. Part of the time away was spent with my husband; siblings, nephew and nieces assisting our parents/grandparents pack up their house to start the next chapter in their lives in a beautiful retirement community. Wild roses grew at the edge of our property at the house where our parents raised my three siblings and me. The house just sold is where our children/the grandchildren grew up with their Nana and Pop Pop. Mom and Dad, may you enjoy your new home, expand your circle of friends, and know how much your love, wisdom and kindness has shaped our family. I'm back in NH for a short while and then off again with the family for vacation on Thursday, therefore I’m leaving the linky open for two weeks, I hope you will join in next week while I’m away too. Beautiful wild roses. Did you dig some up to put on your own property? Your images of the wild roses are stunning. They are my favorite rose and bring me back to my grandparents home as well. The smell is intoxicating. So glad you had a wonderful retreat and blessings to your folks in their new chapter as well. What a trip down Nostalgia Lane! That's a heart-wrenching step in life, but very freeing, and such a chore to deal with a lifetime's accumulation of stuff. 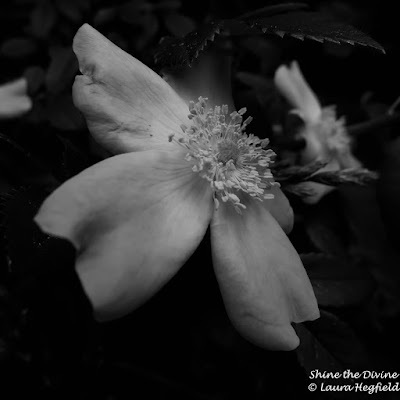 The wild roses are lovely in their simplicity. Happy you had a good time, and have a great vacation:) Enjoy! I hope your parents are very happy in their new home and that you and your family have a great vacation Laura. Hello Laura, your roses are gorgeous. I am so happy you had a great time at the retreat. Congrats to your parents, I hope they enjoy their new place. Enjoy your vacation! Happy Monday, have a great new week ahead! Beautiful macros, as always, Laura. Glad your retreat went well. Have a lovely vacation! Beautiful pictures and poetry Laura....enjoy your trip. OMG Laura, beautiful macros!!! 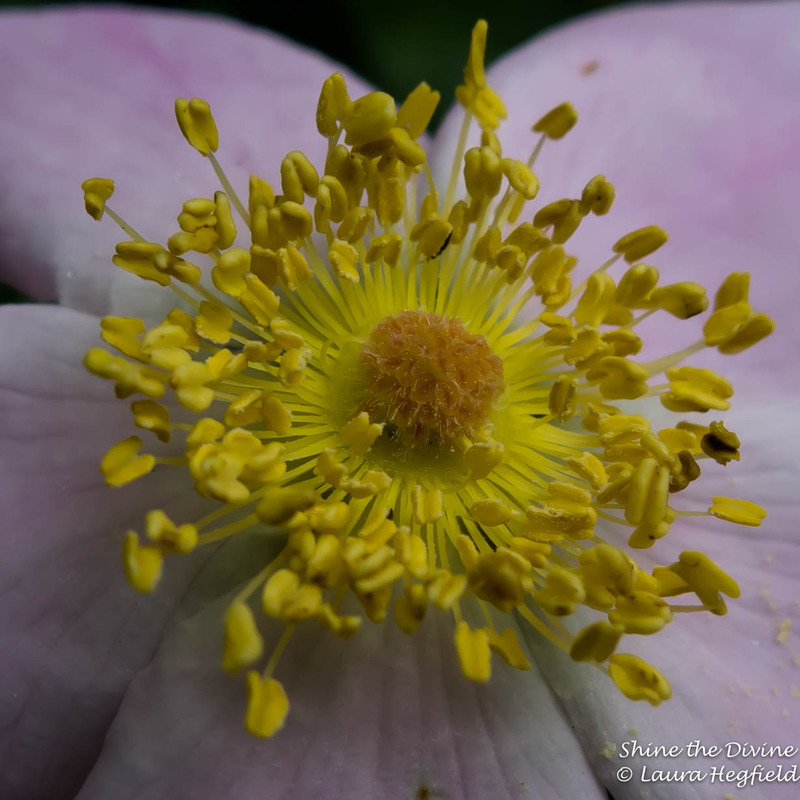 I love the wild roses too! I love the "fragrant memories". Best wishes to your parents as they settle into their new home. And may you have a wonderful holiday, my friend and return safe and sound. Very lovely macros of flowers! Glad the conference was inspirational. There's a sadness to leaving a house well loved, but it's all about letting go, right? Welcome back, Laura! It is wonderful that you had such a restful and inspiring time. Helping your parents move was a bittersweet experience, as you so beautifully described it. How beautiful !! Your shots are gorgeous !! What awesome shots and edits! I hope your parents enjoy their new home. Beautiful photos Laura! :) I liked the third one the most. Beautiful ! have nice holidays ! 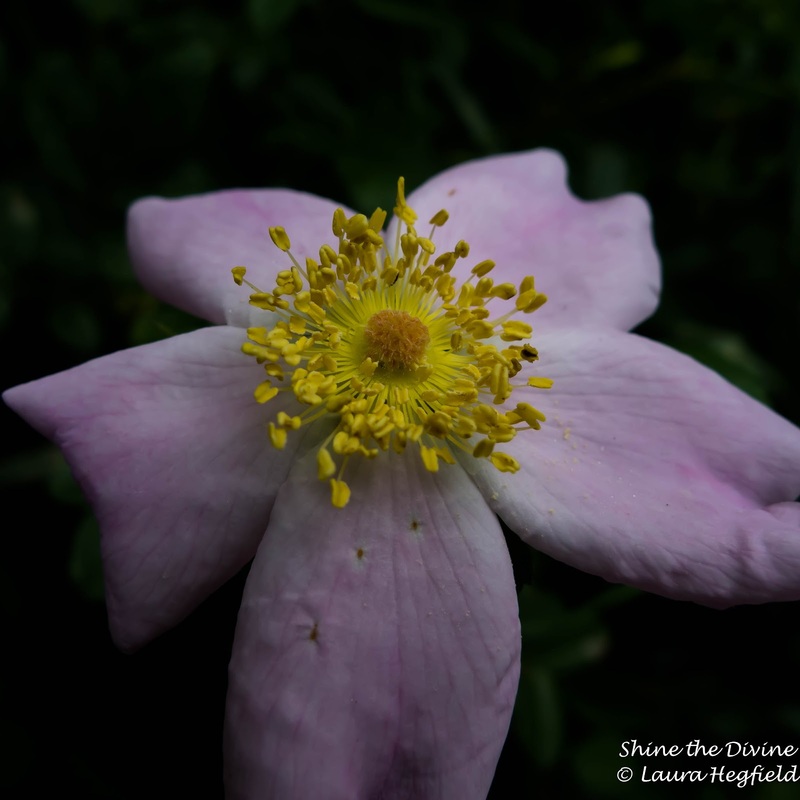 I love these beautiful wild roses! Have a good start in the week, Laura! Your photos of these enchanting wild roses are very beautifuI! The third picture is my favourite :)...How much I love these blossoms!!! May your parents and the new home be blessed and may you have a wonderful and a relaxing vacation with your beloved ones!!! Enjoy the light of summer!!! Katrin :), who is deeply grateful that you spend all the time and host this lovely meme!!! What a beautiful collection of flowers! !